Died peacefully at home in Brockville on August 21, 2016. Predeceased by his parents Donald Harry and Catherine Louise Puddicombe of Ottawa and Montreal, brother John Edward Puddicombe and his son Andrew Reynolds Puddicombe. Dearly loved husband for 64 years of Joanie Puddicombe. Much loved father of Nicholas and Cynthia Puddicombe of Sanford Florida, Christopher and Beth Puddicombe of Brockville, Derek Puddicombe and Heather Cuthbert of Ottawa and Alicia Wisdom of Surrey, British Columbia. Blessed by grandchildren, Melissa McCracken, Stephen, Lindsay, Jamie, Kevan and Joey Puddicombe, Shane Huntrods and Alex Liam Joseph Puddicombe, Nicole And Calista Wisdom. Major Nick Puddicombe was a member of the Canadian Armed Forces for which he proudly served for 38 years. 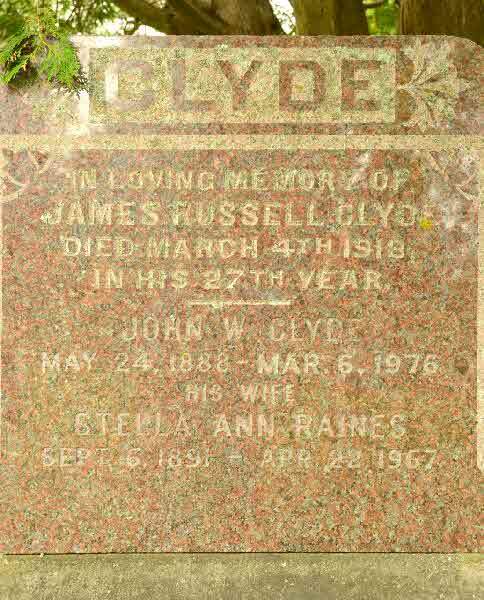 First with The Cameron Highlanders of Ottawa, then The Royal Canadian Regiment, The Canadian Guards and ended his military career with his beloved Brockville Rifles. He was invested into The Order of the Military Merit, Commander of the Order of St. John and received the Canadian Forces Decoration on three occasions. In 1972 he was appointed as Assistant Manager of the W.B. Reynolds Coal Company of Brockville and after it's amalgamation with Universal Terminals Inc. was appointed to General Manager until his retirement in 1991. He volunteered with the Brockville Rotary and Lions clubs and after 39 years on the Board of St. John Ambulance was made an Honourary Member. He also held the position of Commander of the Brockville Power and Sail Squadron. He was also a member of the Royal Canadian Legion and the Brockville Yacht Club. 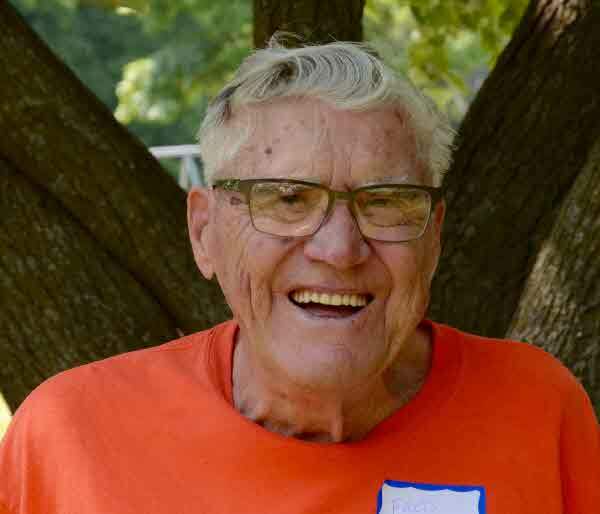 Up until his 80th year Nick enjoyed playing tennis on an almost daily basis whether on the courts in Brockville or while he and Joan wintered in Naples, Florida. When time allowed he spent as much time on "Misty Morning" cruising the waters of the St. Lawrence River. He loved spending time with his family especially with all his many grandchildren listening to them about their latest plans and adventures and spending time with them during family get together's and dinners. Nick's wish was for donations in his memory be made to St. John Ambulance or a charity of your choice will be gratefully acknowledged. A celebration of Nick's life will be held at the Brockville Yacht Club on Thursday, August 25, from 4 p.m. to 6 p.m. The community was sorry to hear of the death of Mr. Pugsley, and the sympathy of the community is extended to the wife, children, brother and sister who are left to mourn him. Roy McLean Pugsley was born in Parrsboro, Nova Soctia and came to Alberta in 1911. He farmed in the Gallahad until 1933 when he moved with his family of six children to Colinton. His death occured at Athabaska Hospital May 18, just one week after taking seriously ill. He was 48 years of age. The funeral held in Colinton on Sunday was conducted by Rev. R. J. Pierce, of the Church of England, with almost the whole of the community attending. 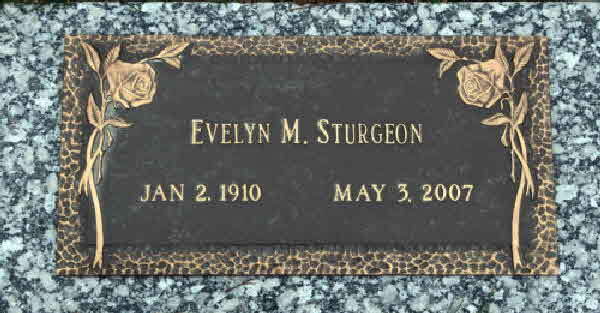 Burial* She was buried in Brock Twp., Vroomanton United Church Cemetery, Ontario County, Ontario, Canada. 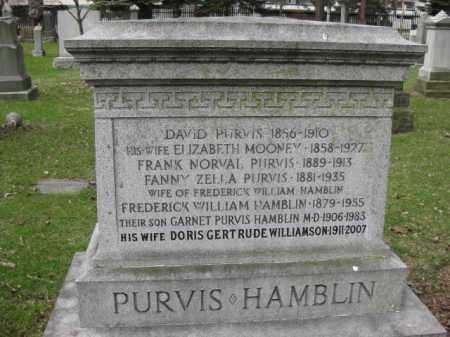 Burial* He was buried in St. James Cemetery and Crematorium, Toronto, York County, Ontario, Canada. 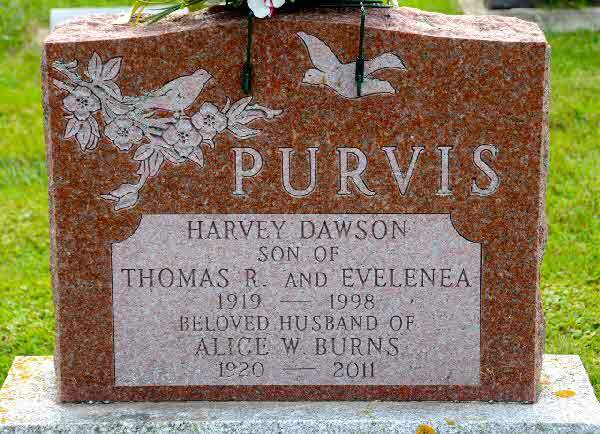 Marriage* Thomas Richard Purvis married Evelena Bethenea Dawson, daughter of George Dawson and Mary Dawson, on 17 March 1913 in Brock Twp., Ontario County, Ontario, Canada. Burial* She was buried in St. James Cemetery and Crematorium, Toronto, York County, Ontario, Canada. Death* He died on 2 January 1999 in Thunder Bay, District of Thunder Bay, Ontario, Canada, at age 78; On Saturday January 2, 1999, Alex Quinsey passed away in Thunder Bay, Ontario at 78 years of age. 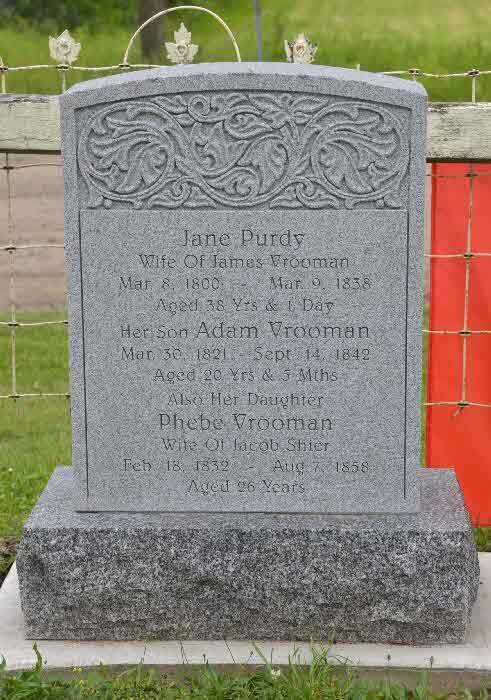 Left to mourn his memory are his beloved wife of 56 years, Viola, son Dr. Vernon (Jill) Quinsey, his four grandchildren, Heidi, Ira, Al and Aaron; and his brother John of Winnipeg. Alex was predeceased by his father and mother, Fred and Belle Quinsey and his sisters Louise, Myrtle and Margaret. Alex was born in Selkirk, Manitoba on May 9, 1920. He spent his early life in The Pas and Winnipeg Beach. During this tgime his father was the Chief of Police of both of these communities. He also lived in Flin Flon and Winnipeg. Alex was employed by Marshall Wells, Mahon Electric and the Lakehead Psychiatric Hospital in Thunder Bay. He was especially proud of his son, Vernon who is a professor at Queens University in Kingston. In his retirement years Alex years, Alex enjoyed golfing with his brother John and spent winters in Weslaco, Texas with his wife, Vi. He will be sadly missed by his family and friends. Cremation has taken place. Funeral service was held in Thunder Bay on Wednesday, January 6 at Knox United Church. 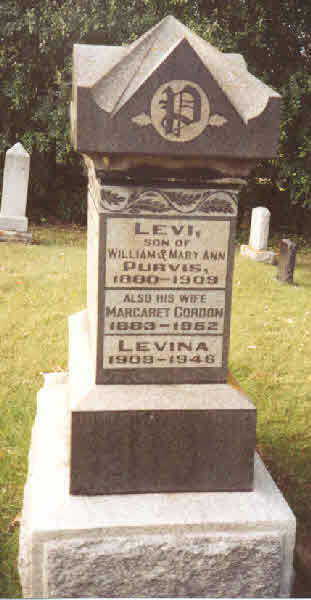 Burial* He was buried on 22 June 1937 in Briar Hill Cemetery, Sutton West, York County, Ontario, Canada. 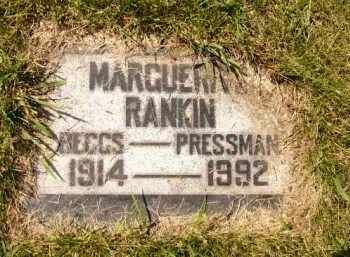 Burial* She was buried on 23 April 1932 in St. John Cemetery, Brock Twp., Ontario County, Ontario, Canada. Birth* Stella Ann Raines was born on 6 September 1891 in Lot 16 Conc 7, Reach Twp., Ontario County, Ontario, Canada. (Witness) Marriage Stella Ann Raines witnessed the marriage of Jean Burton and Gordon Thomas Dearlove. 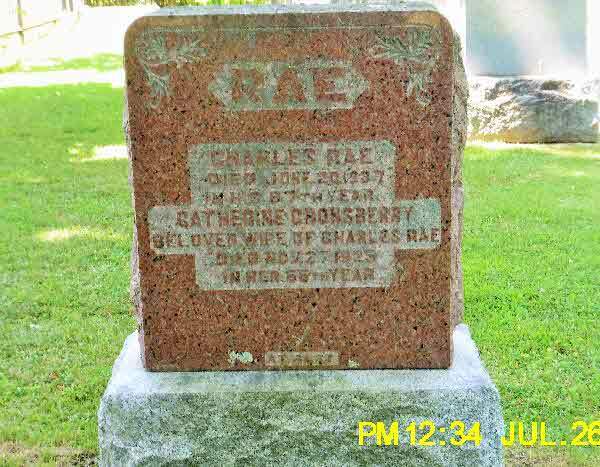 Burial* She was buried in Prince Albert Cemetery, Port Perry, Ontario County, Ontario, Canada. [S18] Unknown subject, Manitoba Vital Statistics (n.p. : n.pub. 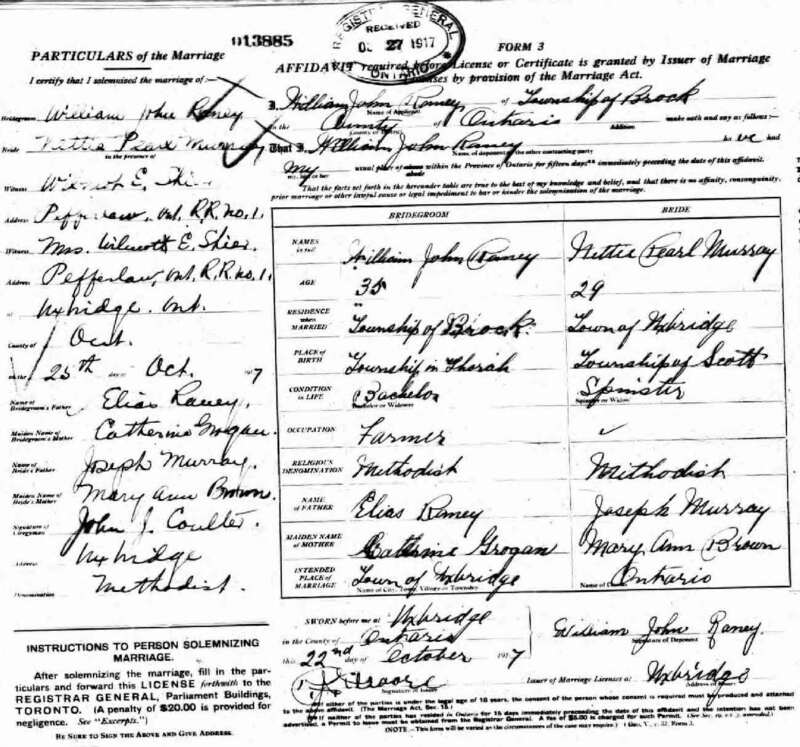 ), Marrige Registration # 1919-009060 between Thomas Dearlove and Stella raines. 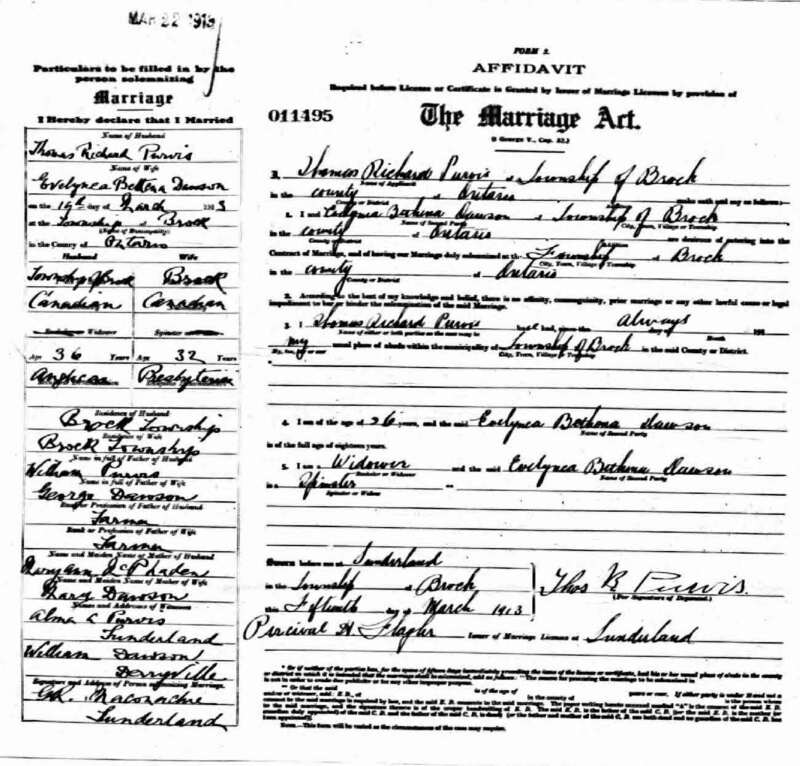 Marriage* Eliza Jane Ramsay married Samuel Nathaniel Kennedy, son of Robert Gordon Kennedy and Anne Maria Shier, on 12 July 1887 in Howick Twp., Gorrie, Huron County, Ontario, Canada; Samuel Nathaniel Kennedy lived in Michigan at the time of his marriage to Eliza Jane ramsay. 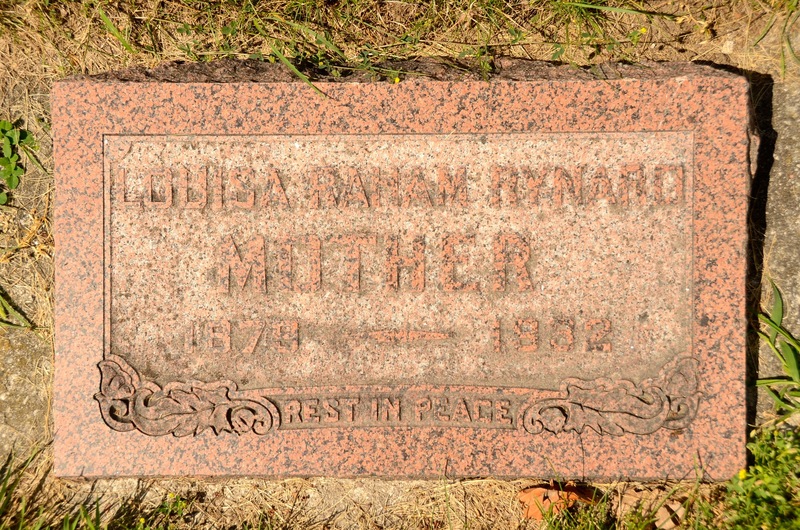 Birth* Elizabeth Jane Raney was born on 15 March 1879 in Thorah Twp., Ontario County, Ontario, Canada. 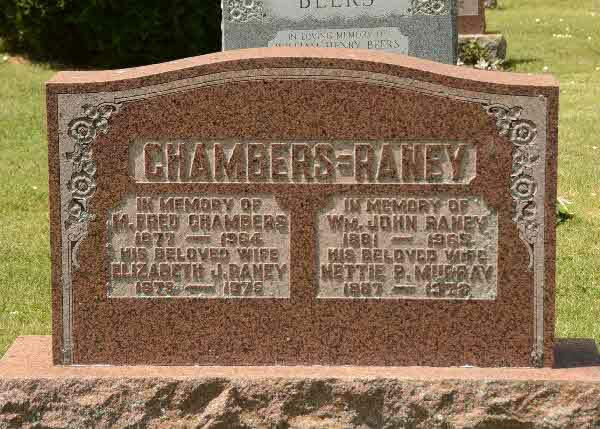 Marriage* She married Frederick Moses Chambers, son of James Chambers and Mary White, on 11 April 1917 in Brock Twp., Ontario County, Ontario, Canada. 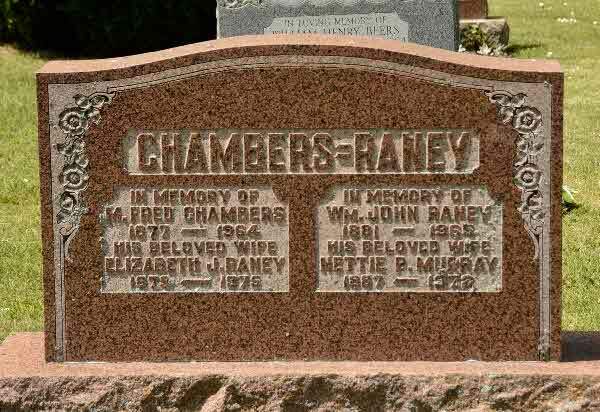 Death* Elizabeth Jane Raney died in 1975 in Cedar Vale Cemetery, Brock Twp., Cannington, Ontario County, Ontario, Canada. 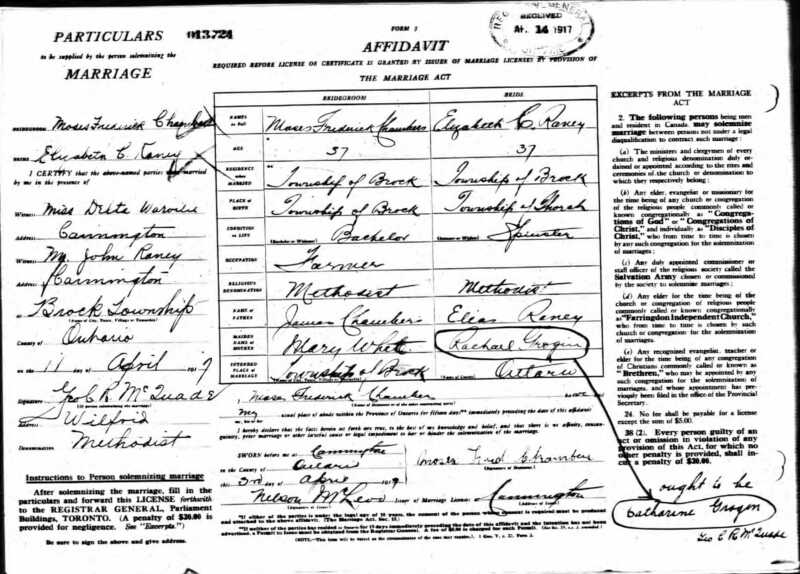 Marriage* He married Nettie Pearl Murray, daughter of Joseph Murray and Mary Ann Brown, on 25 October 1917 in Uxbridge, Ontario County, Ontario, Canada. Death* Evelyn Myrtle Rankin died on 3 May 2007 in Everett, Snohomish County, Washington, United States, at age 97. 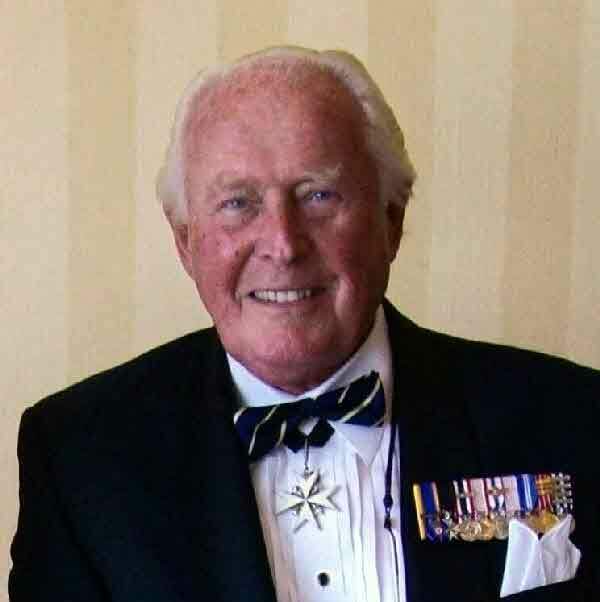 Death* Frederick Charles Rathwell died on 12 January 2018 in Soldiers Memorial Hospital, Orillia, Simcoe County, Ontario, Canada, at age 85; Friends and relatives will be received at the Mundell Funeral Home, 79 West St. N., Orillia, on Monday from 2-4 & 7-9 PM and at First Baptist Church, 265 Coldwater Rd. W. on Tuesday afternoon, January 16th, from 1 o’clock until the time of funeral service at 2 o’clock. Funeral service will be held at the First Baptist Church, 265 Coldwater Rd. W., on Tuesday, January 16th, at 2 o’clock.